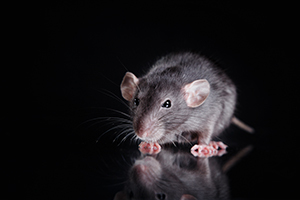 If you require rodent control for your home in Laguna Beach, California, it is best to call professionals rather than rely on do-it-yourself methods. Rat control is intricate work, and it requires years of experience to determine the extent of the infestation and develop an effective plan. Often, trying to treat the problem yourself will only allow rodents to inhabit your home for a longer period of time and, therefore, cause more damage. We provide complimentary rodent inspections along with accurate price quotes before our customers commit to using our services. Our team consists of experienced technicians who develop treatment plans based on each customer’s unique circumstances. We use advanced methods and products, such as RO-DEX, to ensure effective results. Our services are backed by an industry-leading two-year warranty. At Kilter, we understand how disturbing the mess left by rodents can be. That’s why we can help restore sanitary conditions to your home in addition to performing effective rodent control. For example, if your insulation was nested in by rats, we can replace it with TAP Pest Control Insulation, which is energy efficient and will help keep rodents and other common pests away from your home. To learn more about the rodent control services that Kilter Termite and Pest Control provides in Laguna Beach, CA, contact us today.